Carelia cutlery range was designed by Bertel Gardberg, one of the major forces in Finnish design, and was inspired by the Finnish archipelago. Carelia cutlery range is as modern and pleasing today as it was at the beginning of the 1960s, when it was first introduced. 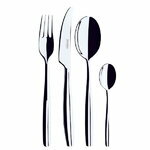 Carelia is the largest cutlery range that Hackman produces. Bertel Gardberg (1916-2007) is a well-known Scandinavian designer and is considered the father of Finnish silversmithing. He strongly believed in the creative power of handicrafts and explained how everything should come from the hands: “Between the hands and the brain lie the human heart and a love of work. We need to be faithful to the character of a material”. Bertel Gardberg worked with many different materials, also combining them together. 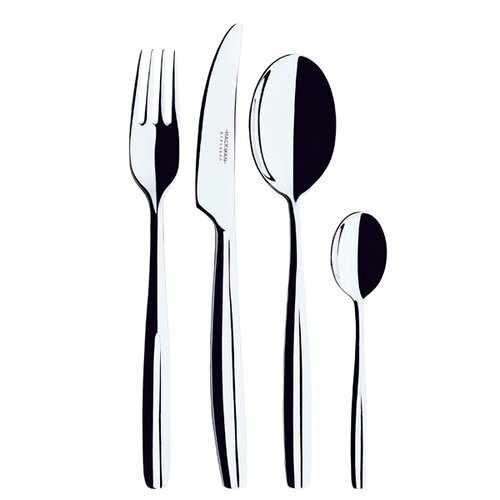 An example of this, the combination of stainless steel and plastic, is the Lion cutlery range designed for Hackman in 1958. For Hackman he created also the Carelia cutlery range, which dates back to the beginning of the 60s and is still modern as it was at that time. For his designs, Bertel Gardberg received many international awards, such as the gold and silver medals at the Milan Triennial in the 1950s and the most important award for Scandinavian industrial art, the Lunning Prize in 1961. The prize he considered the most prestigious in his career was the Goldene Ehrering ring, considered to be the Nobel Prize of gold and silversmiths. Gardberg was conferred the honorary title of Academician in 1982.